Every year, from the end of October and until December, a festival takes place on the island of Crete. It is a joyful occasion full of grapes, aromas of raki and local dishes seasoned with traditional music and dancing. Crete in October is Rakokazana, this period, also known as kazanema (raki boiling), sees locals producing the Cretan spirit raki, or tsikoudia by the distillation of grapes, more precisely pressed strafyla (pomace) initially used for the production of wine. 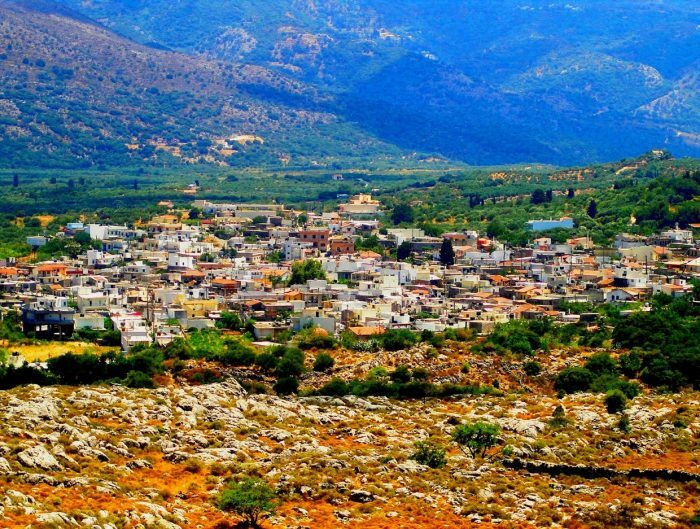 Originally named Tsikoudia, during the Turkish occupation of Crete, tsikoudia became known as raki. Cretans use both names, but the raki now served in Turkey has a different taste than the Cretan spirit. 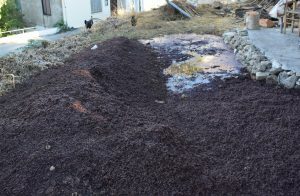 Pomace fermentation (Photo by Gabi Ancarola). Rakokazana represents ritual naturally belonging to the Cretan culture. 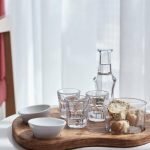 Cretan raki is more than a spirit. It is a synonym of the island and its people. The ritual involving the moment of sharing a glass of raki also stands for friendship and hospitality. Raki is the essence of Crete and its culture. Back in the 1920s, Greek Prime Minister, the Cretan Eleftherios Venizelos instituted the custom of distilleries. Farmers received special permits or licenses to distill raki and get an extra income. There is at least one inhabitant in every village with a license to produce the drink. 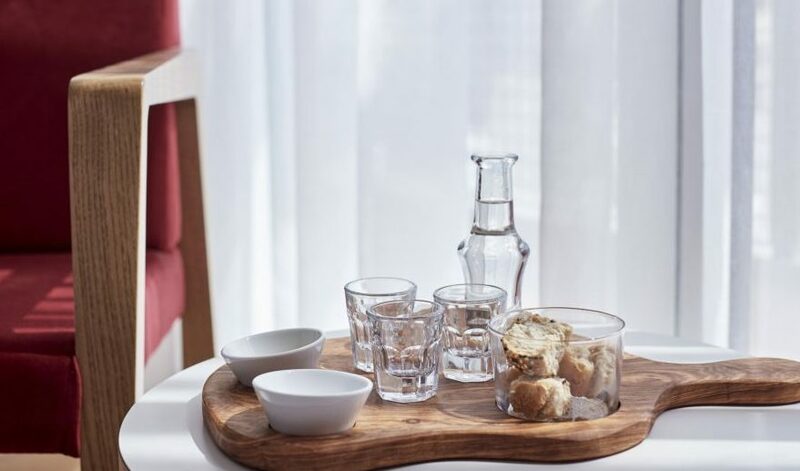 Any Cretan welcome always includes a glass of raki, you can experience this greeting when staying in any of our hotels. There is always a bottle of raki on the table when Cretans have long conversations in traditional tavernas. 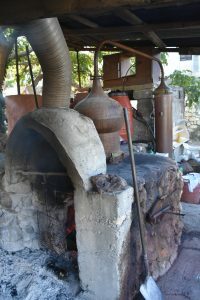 Raki distillation is a process following an ancient method, part of the Cretan tradition. The crushed leftovers of grapes ferment for more than forty days in barrels. After fermentation, the pomace boils in special cauldrons while locals gather to enjoy local food and to sing mantinades. Music, dance, and joy mark the celebration of the new and fresh raki. Almost every Cretan village has a cauldron to produce raki. Producers put the pomace in the cauldron with water and light a fire to make it simmer. The fire should not be too strong so as not to burn the pomace. Yet a fire that is too low is neither enough. There must be a balance in the intensity of flames. 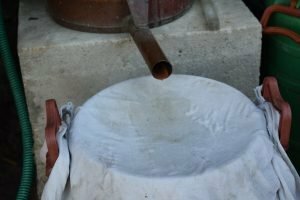 A pipe goes out of the boiler and it is usually externally cooled, in that way the steam turns into the liquid that becomes tsikoudia. After a while, one drop after another, raki begins to flow. 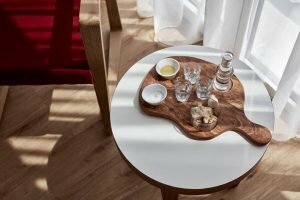 Protoraki (the first raki) is the first distillate and it is extremely strong. But balance, again, is the key to reach a characteristic taste and intensity. 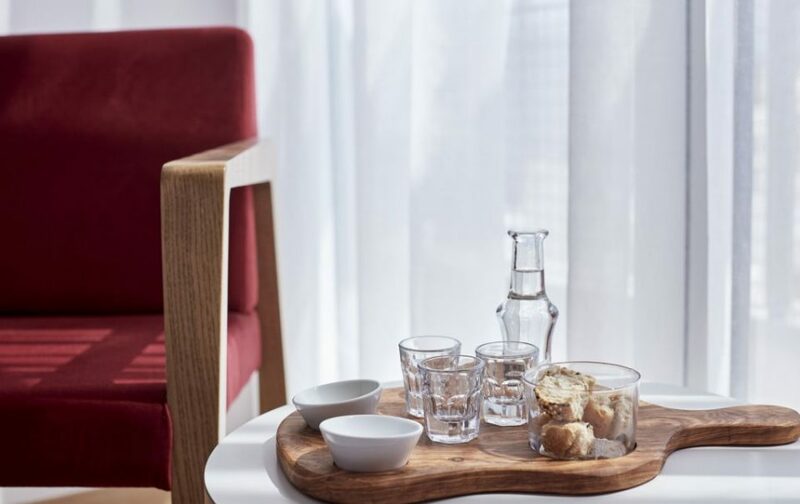 Raki, rusks and olive oil, part of the welcome experience in a room of our Olive Green Hotel. 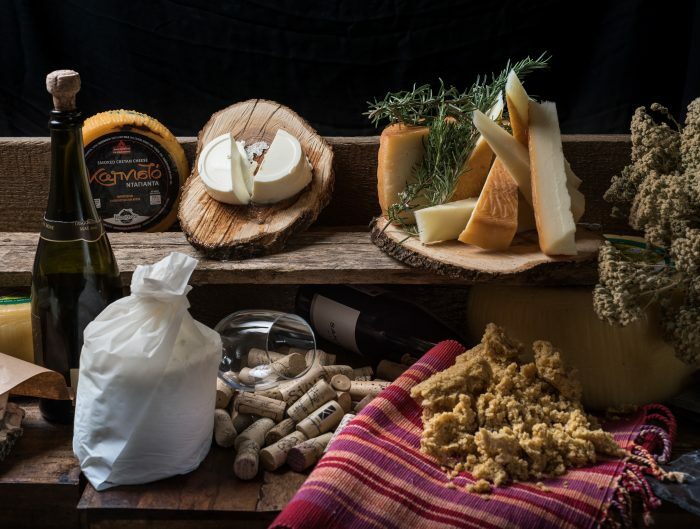 Visitors to the island can witness the production of one of Crete’s most popular products. And also experience the traditional festivity. Besides tasting and receiving their own raki, when attending a rakokazana, guests will eat, dance, and socialize while sipping raki! 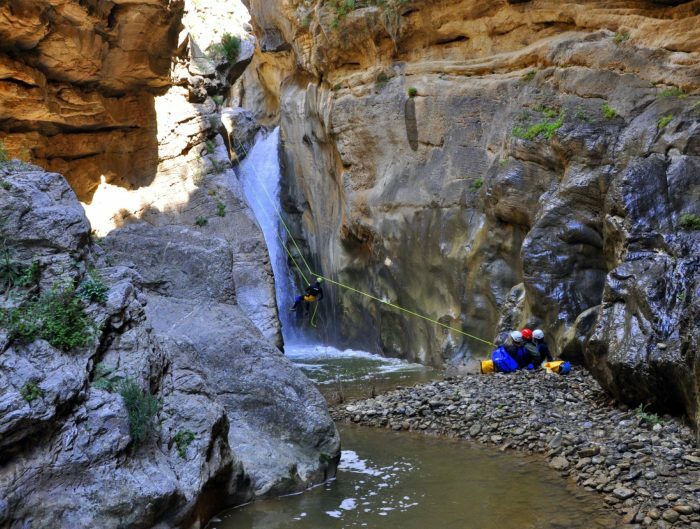 So what are you waiting for to visit Crete during the rakokazana? Join us for a toast at the joyful shout of Gia Mas (Γεια μας! ), “for your health”, the Greek way to say cheers.